Royal Mail have announced increased postal charges to be effective from 25 March 2019. All distribution costs for items purchased from the Society shop will therefore reflect these new charges for orders placed on or after Friday 22nd March 2019. This issue marks the beginning of a new era for The Bulletin as it is the first issue to be produced in full colour. 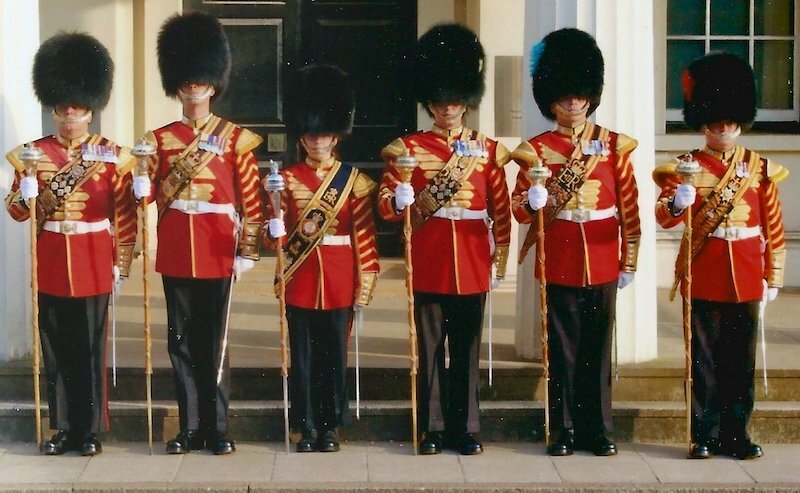 This makes a huge difference to illustrations of badges, medals and uniforms as well as for the reproduction of photographs. It contains articles on the Devizes Loyal Volunteers, the Oswestry Rangers, Nottinghamshire Militia, a VC of the Seaforths, West Somerset Yeomanry and the 85th Royal Volontiers, as well as regular features on Badge Notes, Book Reviews and Questions and Answers. Membership subscriptions became due on the 1st January and we would urge all Members to ensure that their membership is up to date. This saves the voluntary officers a tremendous amount of work in sending out reminders. One important reason to ensure that subscriptions are up to date is that future issues of The Bulletin will be in full colour. 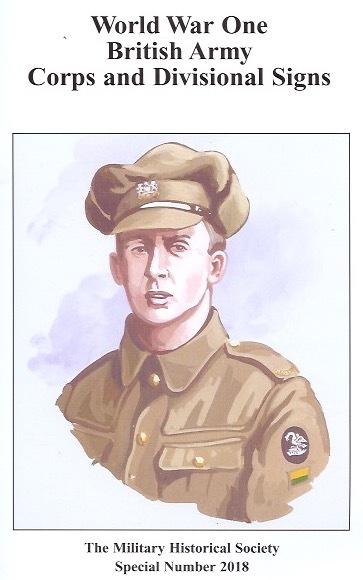 This will allow The Bulletin to do full justice to illustrations of badges, uniforms and other items of interest. The website is now fully functional and Members can renew their subscriptions on-line, paying by credit card through WorldPay or making payments by cheque, bank transfer or PayPal. Members and visitors can also purchase back numbers of The Bulletin, Binders and Special Numbers on-line through the website. 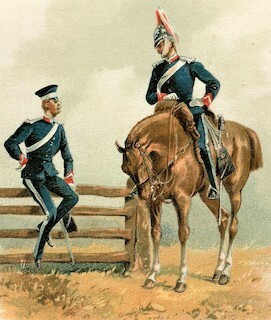 The two principal articles in the November issue of The Bulletin are: The Badges, Titles and Buttons of King Edward’s Horse by Keith Hook and David Knight, a detailed study which covers the whole period of the existence of the Regiment from 1901 until demobilisation in 1919 and official disbandment in 1924; and Third Colours in the British Army by Alan Grosart, which covers the third honorary colours granted to British regiments, including those granted by The Honourable East India Company to the 74th and 78th Regiments for their distinguished service at the Battle of Assaye in 1803 and the 76th Regiment for distinguished service in the Mahratta War of 1803-4. There are also a number of shorter articles on a variety of subjects, together with the regular sections on Badge Notes and Book Reviews. Following on from the great success of the Special Numbers commemorating activities during the First World War, the Society is publishing the last Special Number in this First World War series. This issue is based on an original 1920 publication by Vincent Wheeler-Holohan which had been annotated with hand-written notes by Bill Carman. The text and illustrations have been updated by Clive Elderton and Gary Gibbs to produce this fitting conclusion to the WW1 centenary Special Numbers. Members of the Society will have automatically received a copy of this Special Number with the November issue of The Bulletin. ANNUAL EXHIBITION AND TRADE FAIR. The Duke of York’s Cup for First Place was awarded to Barry Renfrew for "Volunteer Units of South Africa 1800-1914"
The Weston Cup for Second Place was awarded to Tim Withey for "Sealed, Standard and Working Patterns of Uniform Chevrons"
The Peninsula Cup for Third Place was awarded to Steve Hammond for "The Queen’s Westminsters"
The Atkins Cup for a First-Time Exhibitor was awarded to John Murdoch for "The Royal Observer Corps 1925-1995"
The Bill Carman Award for Exhibitors under the age of 21 was awarded to the cadets of 229 Farnham Squadron, Air Training Corps. In addition, two of our Members who are also Members of the Aldershot Militaria Society, gained Aldershot awards: Clive Elderton, Best in Show, for "Reconnaissance Corps Long Runners" and Derek Tomkins was First in the Uniform and Badges category. 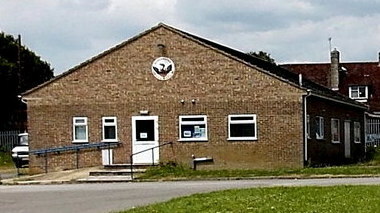 The Southern Branch meets in the Boys’ Brigade Hall, Sawmill Lane, Dorchester with meetings on Saturdays starting at 13.00 hours. The remaining meetings for 2019 are scheduled for 6 April; 11 May; 15 June (Exhibition & Competition – bring one, several or many items! ); 13 July; 7 September (Quiz or War Songs); 16 November. Further information can be had from the Branch Secretary, Mr Geoff Pullman on 01308 424799.